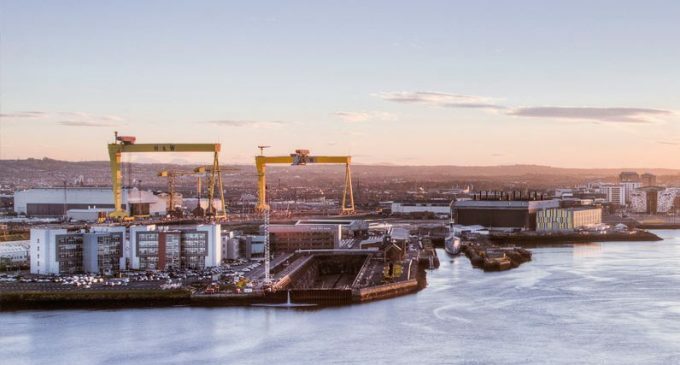 More than 2,000 people are expected to visit the Northern Ireland Manufacturing & Supply Chain Conference and Expo that will be held at the Titanic Exhibition Centre, Belfast, on Wednesday, 13th February 2019. The theme of the event is ‘Creating an Innovative Manufacturing & Supply Chain Ecosystem’. * Northern Ireland Brexit Summit. Visitors are free to access all the different events and the venue layout has been designed to maximise the opportunity for networking. Conference speakers have been carefully selected from senior management within industry and relevant Government agencies, along with leading academics, who have proven expertise in sustainable and profitable manufacturing and throughout the supply chain. Of course, Brexit is high on the conference agenda as Northern Ireland is unique in being the only part of the UK with a potential land border with the EU and this poses distinctive problems for local businesses of all types and sizes. Indeed, many companies, particularly within the food industry, have cross-border supply chains. For example, John McAuley, Managing Director of Compliance Engineering Ireland, will assess Brexit and the implications for access to European and UK markets; Mike McGrath, Managing Director of Arvo, will consider Brexit and your supply chain in his presentation; and Shirlee Kelly, Strategic Sourcing Advisor at iDDea Procurement Consultancy, will provide an introduction to Strategic Sourcing and how it can be used to identify your Brexit sourcing risks and opportunities. Jonathan Askin, Commercial Partner at BLM, will examine how construction clients can begin to prepare and protect themselves in the event that a ‘hard’ Brexit should take place; while Dan O’Mahony, Lifesciences Sector Manager at Exertis Supply Chain Services, will report on the current and future effects of Brexit on the life sciences sector. In addition to Brexit, other issues to be highlighted at the Northern Ireland Manufacturing & Supply Chain Conference and Expo include the challenges and opportunities provided by constantly changing consumer demands, the rapid pace of technological advances in areas such as Artificial Intelligence, machine learning and robotics, along with heightening environmental concerns and intensifying competition both domestically and in international markets. The disruptive changes generated by the unfolding fourth Industrial revolution (Industry 4.0) will also examined by many keynote speakers as well as possible solutions. Amongst the topics being addressed are: a national and local economic outlook and an overview of the Northern Ireland labour market, including analysis of migration, economic inactivity and automation (by Gareth Hetherington, Director of Ulster University Economic Policy Centre); an overview of the UK aerospace industry and the opportunities it offers Northern Ireland businesses (by Dr Leslie Orr, Director of ADS Northern Ireland); improving the capability and productivity of Northern Ireland’s advanced manufacturing companies for increased competitiveness (by Colm Higgins, Head of the Northern Ireland Technology Centre – Queens University Belfast); and Lean Six Sigma (by Alessandro Laureani, Director, Global Sales Development at Google Cloud). * UK Medtech & Biotech Summit – 26th November – The Arena MK, Milton Keynes, England.